Proprietary CMS means one will need a license to use any CMS application. But in most of the cases, even license holders can be prohibited with the issue for duplicating the CMS and creating modifications to that application until and unless user will not acquire a more high-priced developers license. CMS must run properly wherever you use because in most of the cases proprietary CMS only works when the website you put together with them is hosted with the CMS owner. For example: You may see "Build yourself" or "Live". If you are creating a website yourself with their tools then that webpage/website will not work for longer. Because in future, if you will ever try to move your domain somewhere else, the website that you have created in proprietary Content Management System application may be converted to another format. 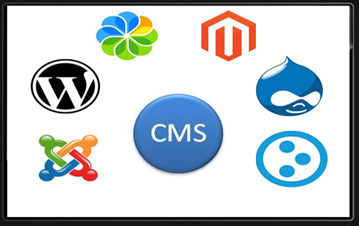 Open Source (OS) CMS can be run on a scripting language like as php that can be imbedded into HTML such as WordPress, Joomla, and Drupal. One do not need to purchase a license to use OS CMS. We do not need to appoint a developer for OS CMS since there are so many free modules, plug-ins, and complimentary tools. Also, countless free templates and themes. In order to try to learn how to properly organize a management system you need to get as much information as possible.